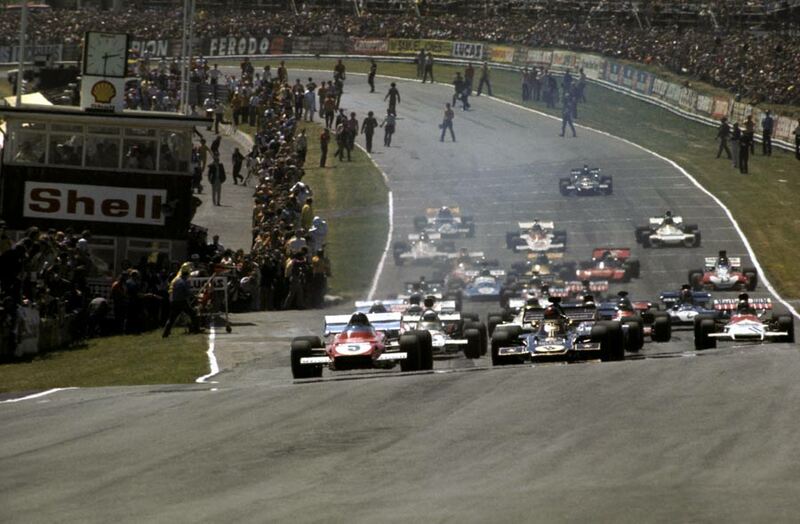 Emerson Fittipaldi extended his lead over Jackie Stewart in the drivers' championship to 16 points with a hard-earned win at the British Grand Prix. Stewart took second place. Jacky Ickx, who was on pole, swept into the lead from the off, holding his position until he was forced to retire with an oil leak and rear axle trouble on the 49th lap. His Ferrari repeatedly opened a gap over Fittipaldi's Lotus on the straights but was hauled in on the corners. Stewart, in the older Tyrrell 003 after the newer 005 had been damaged in a crash, struggled to keep on terms. Only when Ickx's smoking Ferrari had withdrawn did Stewart start to gnaw away at Fittipaldi's lead and on laps 58 and 60 he broke the lap record. But then his engine started sounding poorly and he dropped back, allowing Fittipaldi to win by four seconds. To underline the gulf between the leading pair and the rest, Peter Revson brought home his McLaren in third more than a minute behind. But both Fittipaldi and Stewart had their own problems as Ickx's Ferrari spewed oil before it died, and both men were covered. "My visor was covered in oil and it was so thick I was having trouble wiping it away," Stewart admitted. Ronnie Peterson crashed his March two laps from the end, while Henri Pescarolo's Politoys Ford, on its first outing, crashed at Dingle Dell and caught fire. Pescarolo jumped clear and the car was never to reappear in an F1 race.